How to Build A Strong Sustainable Sales Revenue Pipeline? The main metric we focus on is our median sales revenue contribution for clients, which is currently 7% of directly attributable revenue reported in the client’s own analytics platform. Last year it was 5%, and next year we want to get to 10%. In an interview with Adam Sirois, VP of Sales and Head of Business Development at BounceX, we found out how his company achieves short and long-term sales revenue goals with human skills and assistance from automation technologies. Tell us about your journey in sales and BounceX. I’m an entrepreneur at heart. In between the ages of 15 and 30, I started several businesses—with varying levels of failure—that ranged from driveway paving to custom cereal to rare sneakers to producing events like Vanity Fair’s 100th Anniversary Dinner. Truthfully, I only had one “real job” during that time, which was a two-year stint at Island Def Jam Music Group. 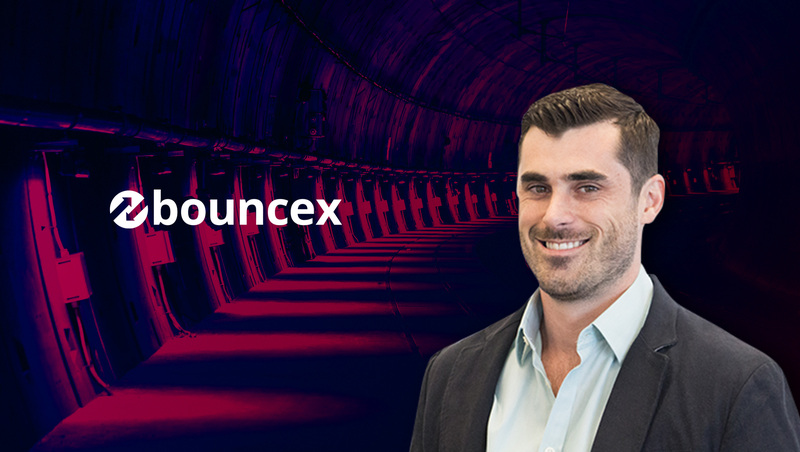 At BounceX, I’m the VP of Sales and I’m responsible for new business. The majority of my team’s focus is working with the Top ~500 online retailers (e-commerce). Prior to BounceX, I had a pretty entrepreneurial background and my first foray into e-commerce was with my startup, Me & Goji, a custom cereal and granola company where anyone can design a cereal from 60+ ingredients, name it, upload a photo and have it shipped it direct-to-consumer. In 2011, I co-founded another startup, Underground Eats, which was a curated marketplace for the top culinary experiences in NYC. So, when I joined BounceX in 2013 as the first sales hire, I had a lot of e-commerce experience, but not as much traditional sales work under my belt—though as a founder, 90% of your time is spent selling in some capacity. I think what attracted our co-founders to me what that I was able to use my experience in the industry—having actually built and grown e-commerce businesses—to understand marketers (our primary customers), what they cared about and the daily challenges they faced. I also had experienced what it was like to buy software and technology from a marketer’s perspective, and it was largely an awful experience. Both of our founders also had a background in marketing and e-commerce, so this allowed us to approach the market with a ton of empathy from day 1. In the early days of building a sales team, process and methodology, we were often driven more by what we knew we should NOT do rather than what we thought we should do. The company is the brainchild of Ryan Urban, our CEO. 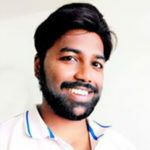 He was a B2C marketer at the time who wanted to create another way for retailers to scale revenue outside of Google and Facebook. From there, he took what he knew from the consumer side and used it to help marketers scale their business through BounceX. How big is your team and what drives them to succeed in meeting small-term and long-term sales revenue goals at BounceX? Actually, our sales team is tiny by industry standards. In most SaaS companies, sales make up 50-75% of the headcount. At BounceX, under 10% of the company is dedicated to sales. We want to be known for having the smallest sales team while having the largest customer success teams in the industry. (But don’t tell our investors that! The only way that model works, and we are able to hit our goals and scale the business, is if the sales team is extremely high output. We’re relentless about constant improvement—both in terms of strategy and process as well as individual development. This requires having a team of very intelligent, very coachable and very agile salespeople in an environment that is collaborative instead of internally competitive—very rare in the industry. What are the dynamic elements driving your B2B sales revenue model? In order for us to be successful in our roles and for us to position BounceX as the leading innovators in the MarTech space, each individual that represents us must be in the top 1% of adoption, understanding, and passion for where technology is today, where it’s going in the future and how that might impact our customers’ lives and careers. We’re largely a quarterly business so, but we monitor performance on a weekly, if not daily, basis. We tend to focus more on our customer’s revenue than our own revenue. The main metric we focus on is our median revenue contribution for clients, which is currently 7% of directly attributable revenue reported in the client’s own analytics platform. Last year it was 5%, and next year we want to get to 10%. Every department at BounceX is laser-focused on how they directly impact that number, whether it’s how Customer Success can improve strategy and better leverage our technology to drive more revenue, or how Product can engineer new or enhanced products that contribute incrementally to that number. We strongly believe if we continue to drive that number up, then our own customers will be our main customer acquisition channel and refer us business. Revenue will follow. How important is a People-Based Marketing (PBM) Cloud stack for the modern business models? I think the more important question here is: how important is the ability to identify your customers and prospects when they’re on your website to the modern business model? Amazon is really good at personalizing the shopping experience to each individual. Why? Because 75% of people are logged in. For all other e-commerce websites, less than 5% of people log in. If you don’t know who someone is, how can you effectively tailor your marketing messages to the individuals? You can’t. That is why 95% of marketing is batch-and-blast, despite 90% of CMOs claiming “personalization” is a top-three priority. Identification is the key to unlocking that. It’s a simple problem in theory but a massively complex problem technologically, which is why we’ve had about 100 of the top product and engineering talents in the world working on it the past few years. Honestly, I probably wouldn’t encourage young sales professionals to spend too much time here. Make sure you can operate at a level that your manager deems effective/acceptable, then spend all your spare time getting to know your industry, your customers, and your products. For new sales hires at BounceX, we don’t even talk about sales until around Week Three. Focus first on developing the ability to have a deep-level, mutually beneficial conversation with the buyers of your industry. Which tools and strategies do you use to create effective B2B sales content at BounceX? You need a really strong sales operations and enablement team. Building strong sales content requires several different skill sets. You need people that know how to research and sort through data to pull out key insights; you need people who know how to turn those insights into an effective narrative that matches your buyer personas, and you need designers who can turn those narratives into visually compelling collateral. We leverage marketing collateral, including white papers, brochures, e-books, playbooks, case studies, webinars, research reports, and infographics, for effective sales content promotion. For me, the most impactful is any content that includes genuine social proof from existing clients. We try to let our clients do the talking for us as much as possible. At this stage in the game, we don’t revisit our sales tech that often. In the early days, it required a lot of work to get an effective tech stack in place, but eventually, you reach a point of diminishing returns. We’re targeting the Top 500 or 1000 retailers with an account-based approach and it’s a pretty nonlinear, complex sales process…so it’s hard to say how much any particular piece of technology impacts our win rates. What is that one piece of advice you received that you would like to pass on to people in the B2B Sales Technology industry? Focus relentlessly on the value that you drive for your customers. Until it’s crystal clear what that is and how your customers measure it, you’re not ready to scale a sales team. All company resources should be dedicated to answering those questions first. Thank you, Adam, for your insights on the most impactful returns of leading a Sales-focused company.